It's a good job that I'm not haemophobic, as this has been a bloody post to research. 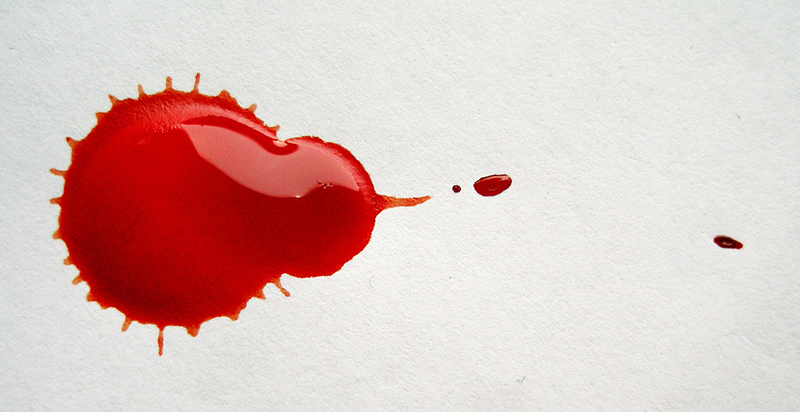 Considering the vital nature of blood, it's hardly surprising that it's so firmly rooted in the English language and forms some of our most colourful and graphic phrases. While I don't want to stir up bad blood by dwelling on the negative, blood and iron draws first blood as a phrase that means military force (as opposed to diplomacy). Even individually, if one's blood is up, one can be out for a person's blood. 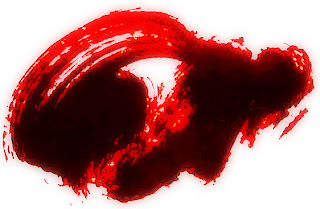 Whether or not one can kill in cold blood (deliberately and without passion) or one is blood-thirsty and driven by blood-lust, bloodshed is inevitable. After the graphicly termed blood-bath, the survivors weary and blood-boltered (hair matted with blood), the victors can only rue their blood-guilt and whatever paltry, ill-gotten blood-money they were paid for their sacrifice. It's not all blood-curdling horror and violence, however. One's family is one's blood, and blood-relatives, whether new blood or old, are closer than anyone, commonly expressed in the saying that blood is thicker than water (meaning family ties are more important than anything else). You might even be blue-blooded if you're from a royal line (the expression blue blood originates from the Spanish sangre azul and the claim by certain noble families of the Castile that they had no Moorish or Jewish in them, thus leading to their paler complexions and 'bluer' appearance). Care must be taken with family, however, as blood-feuds can easily develop, leading to the type of violence described above. Do you know of any other bloody English expressions, idioms or phrases? Are there any bloody phrases in your language? I heartily predict that getting bloody comments will not be akin to getting blood from a stone. My favorite bit was talking through fake blood for Hollywood. Possible career change? Since we're talking about blood today, I should recommend Dexter. Very good show! I've read about Dexter as it's an interesting premise. Like so many of these great TV shows, though, I've never got around to watching it. One day, one day. Dexter was definitely one of the first thoughts arising from this post for me - I was sucked into the show by some relatives, though my husband doesn't watch it. I guess I have more a dark side than him haha. There's also 'blood will tell' meaning family characteristics can't be hidden. Bloody hell, near the end of the first bloody paragraph, I thought to myself, there's no way he can bloody well keep this up. But you bloody did! I had a bit of headache at the end of it though.